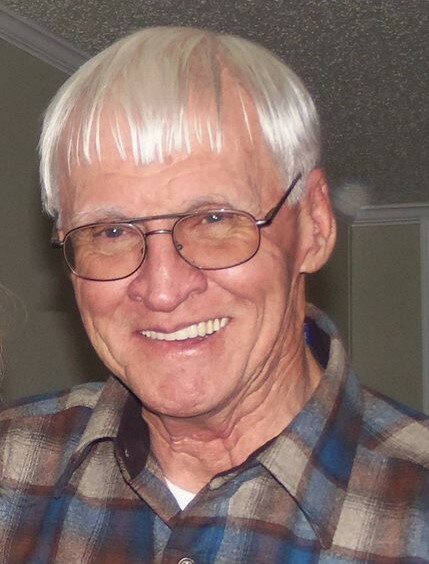 Brian Dodd Moore age 77, of Fairfield Bay, AR died on March 20, 2019. He was born in Saint Louis, Missouri on August 29, 1941 to Douglas and Rose (Dodd) Moore. After graduating high school Brian attended the University of Missouri in 1963, receiving a Bachelor of Science Degree in Business Administration. Soon after graduation he was drafted into the Army and served two years in Vietnam, as a Personnel Specialist. Brian went to work for McDonald Douglas in St Louis, Missouri as a purchasing agent for 28 years before attending Lindenwood University, in Saint Charles, Missouri to receive a Masters in Business Administration. He spent ten years as a college professor at Columbia College in St Louis, Missouri. He retired to Fairfield Bay, AR in 2001. The lake was his playground. He loved to water ski and would teach anyone who was willing to learn. Brian was invited to join the volunteer ambulance service in Fairfield Bay where he soon became an EMT and served as Captain eight of his twelve years. He loved serving his community and being a former member of the Lion’s Club and Rotary. Brian was elected to serve two terms on the Community Club Board of Directors, where he served as Treasurer. Brian was a member of SASS and competed in Cowboy shooting for six years at Outlaw Camp in Heber Springs, Arkansas. He also competed in Regional and State Championships. Brian enjoyed being apart of Dining Dozen, traveling to Treasure Lake Resort in Branson to camp, playing miniature golf, going to Destin, Florida, playing cards and spending time with his extended family from Velvet Ridge and Texas. He was a member of Kirk of the Hills Presbyterian Church where he was Secretary for the Kirk’s Men Club. Brian is survived by his wife, Rebecca, they were the first couple married at the Conference Center on November 5, 2013, by Paul Wellenberger, her children, Kenn (Tonya) Robert (Chana) Chris (Amy) and Chad (Michelle) Hanle and grandchildren, Ashlan, Ian, Lilli, Ethan, Ramsey, Finn, Aspen, Tristan, Sydney, Gunnar, Devyn, Destinee, Payton, Faith, Justin, Jessie and great grandchildren, Kealee, Adalyn, Avery and Harper. Brian is survived by his daughter, Kim Danaher (Lenny) from his marriage to his first love Karen, who died young from breast cancer and their children, Amy, Sean and Evan. He was super proud of his grandchildren and their accomplishments. Amy was the fourth generation to graduate from Mizzou and is now a school teacher in Missouri. Sean graduates as a meteorologist from Mizzou in May. He always bragged about Evan, who became an Eagle Scout at age fifteen.